PricewaterhouseCoopers (PwC) is the biggest international companies network offering professional services in the sphere of consulting and audit. PwC has a very different structure of a limited liability partnership. It means that the global firm is actually a collection of member firms run autonomously in their respective jurisdictions. 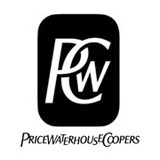 PricewaterhouseCoopers has a very long history - it successfully exists over 158 years. The company has gained the perfect reputation and is one of the four largest international accountancy and professional services firms. PwC handle the great amount of audits for big trade companies, as well as for many small ones. Due to that fact, PricewaterhouseCoopers is a member of The Big Four. The headquarters of the PwC is located in New York. PricewaterhouseCoopers was created in 1998 by the amalgamation of 2 famous companies Price Waterhouse and Coopers & Lybrand. Each of them was working successfully in the consulting business on their own before deciding to combine efforts for even greater progress in this field. In 1849 Samuel Lowell Price started working in London as an accountant. In 1865 William Hopkins Holyland and Edwin Waterhouse became his partners. Shortly afterwards Holyland left the partnership in order to work privately. Right after that, at 1874, their firm got another name - Price, Waterhouse & Co.
Price Waterhouse became highly recognized as an reputable accounting firm by the late 90s. It expanded rapidly and soon opened its office in the NY as a result of intense trade between the UK and the US A. Almost at the same time, in 1854, a new accountant practice was founded by William Cooper in London. Seven years later, his firm was given a new name - Cooper Brothers, right after his brothers conjoined it. After a close cooperation with the other entrepreneur, in 1992 the company was named Coopers & Lybrand. Being the multifunctional company, Pwc provides a wide range of consulting and audit services. It enforces high standards of corporate management in many industries all over the globe. 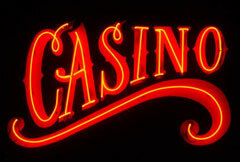 In the online gambling industry PricewaterhouseCoopers assures to be a force for wise & good sense solutions. PwC pays a very close attention to such values as public trust, safety in the e-gambling business and gambling legality. It set goals and standards across industries in order to enhance the trust for the online gaming business field. In the course of its operation, PricewaterhouseCoopers audits taxes, financial accounting reports, and companies' human resource management. After checking the financial side, the company performs the function of advisor and makes consultation about performance improvement consulting that helps the clients with stakeholder issues. PricewaterhouseCoopers is combining its good judgement and experience for giving the practical guidelines for its clients. PwC has the aim to continue earning the trust of all its stakeholders.